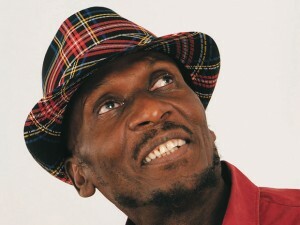 At 64, the original reggae star is back with a new album, Rebirth. It is an outstanding set of uplifting, spiritual songs on which his voice sounds as high, sweet and soulful as ever. Backed, somewhat improbably, by a band of veteran American punks, Cliff captures a tone evocative of his classic Sixties period, and the pop-y, organ-driven sound of ground-breaking hit songs such as You Can Get it if You Really Want, The Harder They Come and Many Rivers to Cross, a song that always sounds like a miracle to me, and is surely one of the greatest pop recordings of all time. Cliff’s tender, emotionally strained vocal rises through the churchy ambience of a hymnal organ while gospel singers echo his desperate testament to a life of struggle: “I’ve been licked, washed up for years/ And I merely survive because of my pride.” Cliff was just 21 years old when he wrote and recorded it in 1969. Cliff had his first hit in Jamaica in 1962, aged just 14, after walking into a record store and singing a song to producer Leslie Kong. “The way I grew up, it was a big family, so I had to start working early. My father was a tailor. The rest of my family were farmers. I just know singing was what I wanted, and I went and do it.” Blackwell identified Cliff’s potential and brought him to London in 1965. Although it took a few years to break through, a starring role as Jamaican outlaw Ivanhoe Martin in cult movie The Harder They Come in 1972 made Cliff reggae’s first international star. Still venerated by generations of musicians, Cliff has performed with the Rolling Stones, Bruce Springsteen, Elvis Costello and the late Joe Strummer. It was the Clash frontman who introduced Cliff to Tim Armstrong of US punk band Rancid, the producer of the new record, and the man who reconnected Cliff with his original sound.